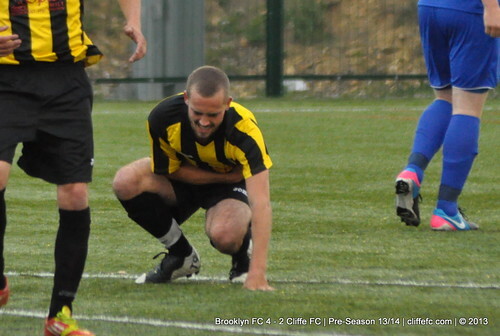 Cliffe FC are beaten 4-2 on their midweek travels at Brooklyn FC, the biggest blow being Andy Kirkham’s 1st-half knee injury. The opening three goals of the game were all great hits, Cliffe took the lead via an Ian Beckram drive that flew into the top corner from outside the box, 0-1. 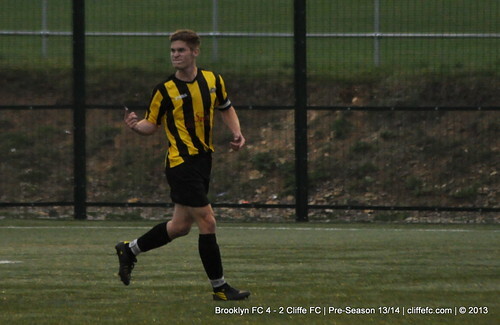 Brooklyn (Formerly known as Amotherby & Swinton) equalised and took the lead within a 90 second period, first a weaving run was smashed into the roof of the net for 1-1 and another decent hit from outside the box flew into the goal for 2-1. Brooklyn lead 3-1 at the break, after their forward nipped in front on-rushing Ally Harris to finish. 3-1 HT. The biggest blow for Cliffe of the match came within the first 10 minutes when Andy Kirkham had to be assisted from the pitch with a knee injury that looks like it could rule him out for a few weeks. 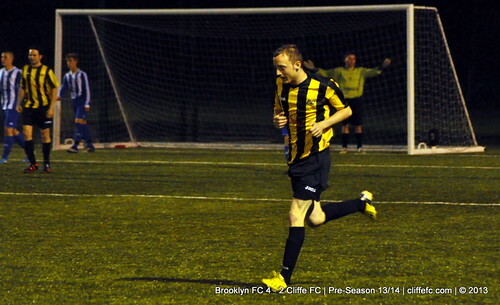 Brooklyn made the score 4-1 early in the second half, but Cliffe responded as they adapted to the 3G surface. Shane Cawkill grabbed a nice consolation from a tight angle that evaded everyone and flew over the ‘keeper for 4-2, the final goal of the game, 4-2 FT.
Cliffe FC MOTM: Ian Beckram. LRB Trophies Brooklyn MOTM: TBC. Busy week for Cliffe FC this week continues as Cliffe FC Reserves are back in action on Wednesday (TONIGHT) versus Hemingbrough United Veterans, 6.30pm KO @ Oxen Lane, Cliffe. The Selby Cup continues this coming Saturday as Cliffe FC face Drax and Cliffe FC Reserves face Goole United Reserves.